The first book in the highly acclaimed Pellinor series Maerad is a slave in a desperate and unforgiving settlement, taken there as a child when her family is destroyed in war. She is unaware that she possesses a powerful Gift, a Gift that makes her a member of the School of Pellinor. It is only when she is discovered by Cadvan, one of the great Bards of Lirigon, that her true heritage and extraordinary destiny unfolds. Noe, she and her teacher Cadvan must survive a perilous journey through a time and place where the dark forces they battle with stem from the deepest recesses of other-worldly terror. This epic fantasy about Maerad and her astonishing yet dangerous Gift is an unforgettable tale. Steeped in the rich and complex landscape of Annar, a legendary world few have yet discovered, it is one of literature's most exciting stories. "Passionate, inspiring characters... vividly described landscapes... a great series of fantasy novels..." The Bookseller (UK). 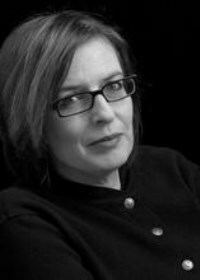 Author Biography: Alison Croggon is an award-winning poet whose work has been published extensively in anthologies and magazines internationally. She has written widely for theatre, and her plays and opera libretti have been produced all around her native Australia. She is also an editor and a critic. Alison lives in Melbourne with her husband Daniel Keene, the playwright, and their three children. Alison Croggon is a poet, critic, literary editor and author. She trained as a journalist on the Melbourne Herald and is the internationally acclaimed author of numerous poetry collections and plays. Her first book of poems, This is the Stone, won the 1991 Anne Elder and Dame Mary Gilmore Prizes. Her novella Navigation was highly commended in the 1995 Australian/Vogel literary awards. Her second book of poems, The Blue Gate, was shortlisted for the Victorian Premier's Poetry Prize. Attempts at Being was shortlisted for the Kenneth Slessor Poetry Prize in the NSW Premier's Literary Awards and was also nominated for a Pushcart Prize in the US. The Gift, the first book in Alison's acclaimed young adult fantasy series The Books of Pellinor, was shortlisted for two Aurealis Awards for Excellence in Australian Speculative Fiction and named a 2003 CBCA Notable Book. The series has since been released to critical acclaim in the US, the UK and Germany. Alison is a Melbourne theatre critic for The Australian, and keeps a respected blog of theatre criticism, Theatre Notes. She is married to playwright Daniel Keene, lives in Melbourne and has three children.